Sign up and receive Property Email Alerts of Houses for sale in Burgundy Estate, Milnerton. This modern neat 3 generous bedroom family home on a great stand 601m2, has an outside Teenage Pad/Staff Accommodation that's en-suite (Toilet, Basin and Shower). 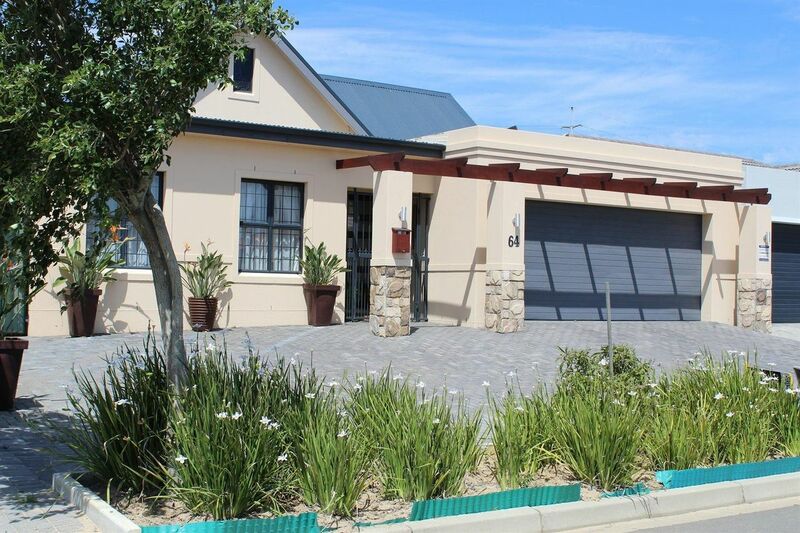 Situated in the heart of Burgundy Estates close to the recreation centre and Mashi Golf Course. It has 2 bathrooms (MES), a large granite open-plan kitchen with lots of cupboards, a nice size dining room and separate lounge with gas fireplace, moulded cornices, classic chandeliers, trellidoors, burglar bars and alarm. The lounge opens onto a north-facing patio with retractable awnings. Extras include electricity generator, sprinkler system, grey water system, Jojo tanks and a large tiled double automated garage with 4 guest parking bays. With the suburbs of Cape Town to the south, the beaches of Milnerton and Blouberg to the west, and the Winelands of Durbanville Hills to the north, Burgundy Estate Cape Town borders the vineyards of the historic De Grendel wine farm less than 20 kilometers from the centre of the Mother City. The estate is bordered by the M13, which provides easy access to the N7 and the N1 highways, taking you into the centre of Cape Town and V&A Waterfront in under 15 minutes during optimal traffic conditions. The site is less than 10 kilometers from Century City, home to Canal Walk, Africa's leading super-regional shopping centre. Plattekloof and Willowbridge shopping centres are also close by. Convenient access to the city and to other parts of the Cape Town metropole will be greatly enhanced through the roll-out of the successful MiCiTi rapid transit system, providing efficient and affordable public transport. Sign-up and receive Property Email Alerts of Houses for sale in Burgundy Estate, Milnerton.